1. The upper-sleeve pocket will feature a zipper closure instead of a Velcro closure for easier access. These new pockets will look similar to those found on combat shirts. 2. The upper-sleeve pocket will also now be at least 1 inch longer. Feedback on post-combat surveys showed that soldiers require roomier pockets and more room for patches. 3. The new ACUs will no longer offer internal elbow pads and Velcro elbow patches. Both those characteristics were found useless in the field and deemed a waste of money. However, one feature that will stay the same is the doubled fabric for extra reinforcement on the elbow area. 4. Say goodbye to the cord-and-barrel lock on the cargo pocket. It will no longer exist on the new ACUs. 5. ACUs will no longer feature knee pads or patches. There will still be reinforced fabric in the knee area. 6. The lower-leg pocket has previously used a Velcro closure. From now on, it will feature a one-button closure instead. 7. If this change gets approved, the mandarin collar is no more. The Army combat shirt eliminates the need for this collar style. Instead, you could see a traditional fold-down design. 8. The Infrared (IR) Identification Friend or Foe (IFF) tag will be still be on the right sleeve but will be removed from the left sleeve. 9. After complaint that the drawstrings on the uniform pants' waistband looks unprofessional, chances are you'll see this removed from new ACU pants. 10. Only two pen pockets instead of the usual three. 11. Lower-leg pockets will be removed completely. You'll first get to see OCP (Scorpion W2) ACUs when they hit stores in the summer of 2015. The Army has not yet announced a mandatory possession date for OCP nor a wear-out date for the UCP ACU, but both are expected to be in 2018. The Defense Logistics Agency (DLA) will begin converting its contracts for the ACU from UCP to OCP beginning in November 2014. In conjunction, the DLA will convert all "bag items" including hot weather, temperate weather and hot weather FR issue boots to coyote brown. The first deliveries are due to the DLA by May 1, 2015. On July 1, AAFES MCS will begin to sell OCP ACUs. Authorized coyote brown boots will be allowed for wear only with the OCP ACU. Desert tan boots can be worn with both the UCP ACU and OCP ACU but have a wear-out date of October 1, 2018. The implementation of these new uniforms have been organized into four tiers, with tier one being the most important priority. Tier Two: All combat clothing items purchased through Rapid Fielding Initiative (RFI). Examples include helmets, clothing items and hydration systems. Expected availability unknown. Tier Three and Four: Less essential items like sleeping bags. Expected availability unknown. At a glance, MultiCam and Scorpion almost look like the same pattern. That's because both MultiCam and Scorpion OCP were developed from this original Scorpion pattern. So what sets the two apart? 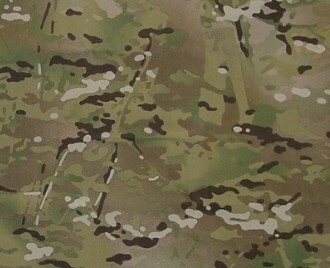 If you look closely, you'll notice MultiCam features additional beige and brown slugs as well as vertical elements meant to resemble grass and branches. In addition, MultiCam is a somewhat darker and sharper version of Scorpion. Scorpion is not a new pattern. In fact, it's been around for more than a decade. Known as the predecessor to MultiCam, the pattern was developed in 2002 by Crye Precision as a part of the advanced technology demonstration project called Objective Force Warrior, later renamed Future Force Warrior. Made up of green, brown and tan elements, Scorpion looks very similar to MultiCam. Why? Because it is. Crye created Scorpion under a military contract, potentially forfeiting all intellectual rights to the pattern. In order to capitalize on the hard work put into developing Scorpion, Crye made small adjustments to the pattern for trademark purposes to create MultiCam. 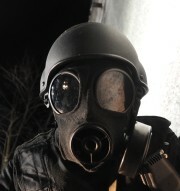 The variant chosen as the new OCP is known as Scorpion W2. 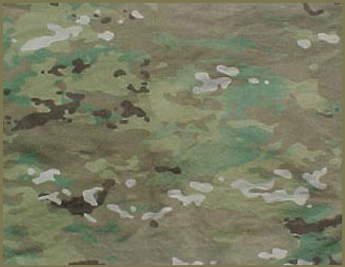 Like MultiCam, it was developed and modified in 2009 from the original Scorpion pattern. The pattern still needs to be updated with IR technologies before it can be used for combat uniforms.